We are one of the leading Manufacturers & Supplier of Metal Working Fluids such as Water Soluble Cutting Oil, Neat Cutting Oils, Semi Synthetic Cutting Oil, Grinding Oil, Honing Oil, Deep Hole Drilling Oils, Drawing Oil and Broaching Oil from Navi Mumbai under the Make "Excel". Excel Neat Cutting oils are low to medium viscosity, clear and bright coloured product containing chlorinated EP and oiliness additives depending on the application of the job work. It is suitable for machining operation on mild steels, carbon steel, nickel steels and manganese steels and its use may be extended to copper, aluminium and their alloys if required. We have gained recognition as an affluent manufacturer of supreme quality Deep Hole Drilling Oil. This drilling oil is processed by using finest material to ensure its quality along with the latest technology. The offered drilling oil is examined on diverse parameters of quality. Furthermore, we are giving this drilling oil in diverse packaging options. Our quality checkers inspect this drilling oil on various parameters to make certain its quality. EDM Oils are highly suitable for electric discharge machine with the highest flushing power. This oil is based on aromatic free hydrocarbons as it has narrow boiling range and high flash point. It is non-toxic & non-corrosive. It is basically a highly refined mineral oil that possesses excellent electrical insulating properties and used in transformers and high voltage capacitors. Tapping Oil is an amber coloured oil containing high-quality fat and free sulphur to impart extreme pressure properties. This oil is designed for heavy-duty applications like gear hobbing, cutting, thread cutting , broaching. This oil provides effective lubricating film between the cutting tool and work piece thereby reducing cutting stress and giving a good surface finish. 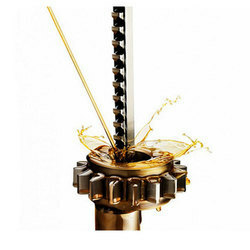 The oil also provides a longer life to cutting tool. Owing to rich production experience and knowledge, we have emerged as an affluent manufacturer of Water Soluble Cutting Oil. This is widely used in a cutting process of steels & other alloys. 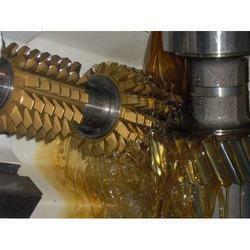 This cutting oil is processed by using finest material and latest machinery. The whole range of cutting oils is thoroughly examined by our experts. Customers can get the offered cutting oil from us at suitable rates. We offer supply, as it does not contain any heavy metal. It gives exterior quality Semi-Synthetic Cutting Oil that is formulated using high-grade compounds. 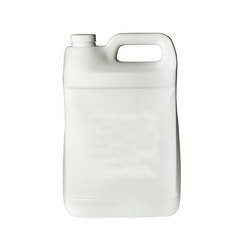 Its super micro near transparent emulsion makes it outstanding in its range. It is fortified with ep additive, corrosion inhibitors & select bactericides. This oil is environment friendellent flushing, which reduces your grinding wheel dressing frequency, thus giving more productivity. Our organization is recognized among the distinguished manufacturers of Grinding Oil. This is widely suited for drawing condition. 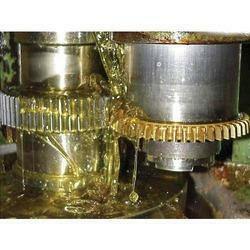 The offered grinding oil is processed by using finest material by using latest machinery along with the market norms. 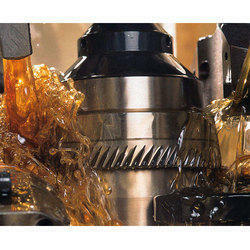 Along with this, offered grinding oil is examined on various parameters by our experts to make certain its quality. 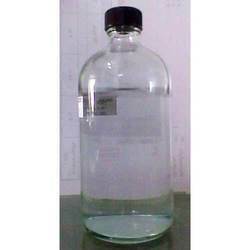 This oil is available at suitable rates from us. We are one of the leading manufacturer of premium quality Gun Drilling Oil. The offered gun drilling oil is processed by using finest material by using latest machinery along with the market norms. Along with this, offered gun drilling oil is examined on various parameters by our experts to make certain its quality. This oil is available at suitable rates from us. Product is almost odorless and light in colour. We feel proud to introduce ourselves as one of the prominent manufacturers of qualitative Honing Oil. This widely acclaimed for the honing of ball bearing traces. This honing oil is processed by using finest material to ensure its quality along with the latest technology. 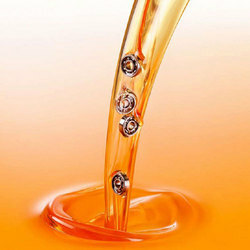 The offered honing oil is examined on diverse parameters of quality. Furthermore, we are giving this honing oil in diverse packaging options. Our quality checkers inspect this honing oil on various parameters to make certain its quality. Being a paramount name in the market, we are offering best and superlative quality array of TG Coolant Oil. This coolant oil is created with the use of best quality machines and expertise. These coolants are mainly produced for keeping the engines of the automobiles clean and cool for best functionality. These are quality assured and available in many features and standards at cost-effective rates. Broaching Oil is a product which contains sulphur plus additives. It is a low viscosity grade specially developed for deep hole drilling and precision grinding of all kinds of steel. 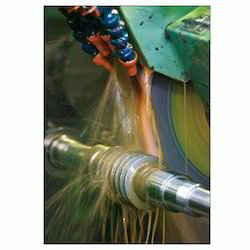 Broaching Oil is also used in other machining operations where low viscosity is required and is recommended for thread rolling.